Just two years after the marriage of Ibrahim Chatta to the daughter of the former governor of Kwara state Shaaba Lafiaji, Salamatu packed up, The Yoruba popular actor will soon huck up to a lady for her third marriage. 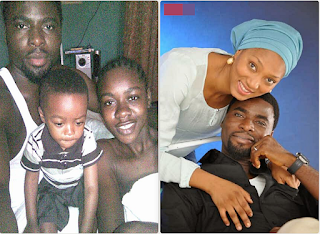 He got married to Olayinka Solomon, his first wife who had open up and accused the actor of allegedly battering her, which was said to be the main reason behind the failed marriage . For his second wife, Salamatu status was the problem as she allegedly couldn’t cope with the low state of living provided by the actor due to her wealthy background. The third woman he is marrying on the 1st of October 2016 is said to be already pregnant for the actor which is why he has hastened the marriage procedures. The lady who is also in the entertainment industry goes by the name Laide but is fondly called Lizzie Berry by feiends.